Welcome back to the new and improved Alice's Antics! I'm finally with a blog theme which I'm completely and utterly happy with, it's only taken two and a half years! So I hope you love it just as much as I do. The first week of 2016, has been fairly dramatic! On Thursday, approximately three minutes after texting my friend I was on my way to meet him, I slipped down the stairs and managed to severely break my foot. I'm sure all breaks are severe, but with the bones down my left side and a couple of toes being effected, it makes life particularly difficult. 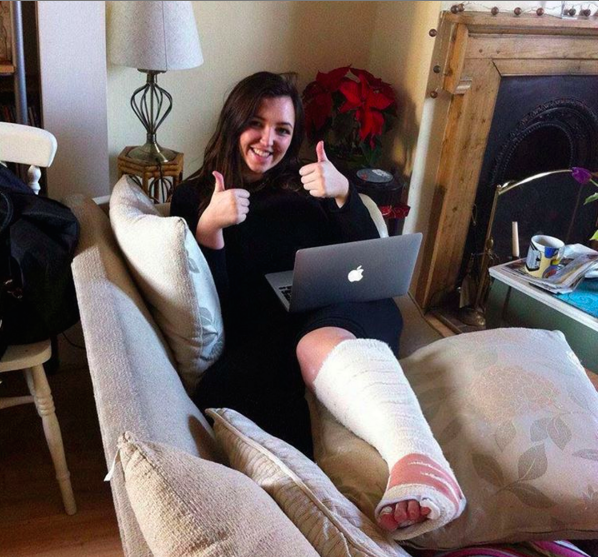 After an encounter with a mad doctor (although an all round cracking NHS experience, pardon the pun), I was in a cast, handed my legs for the next 6-8 weeks in the form of crutches, and on my way home to commence being waited on hand and foot! 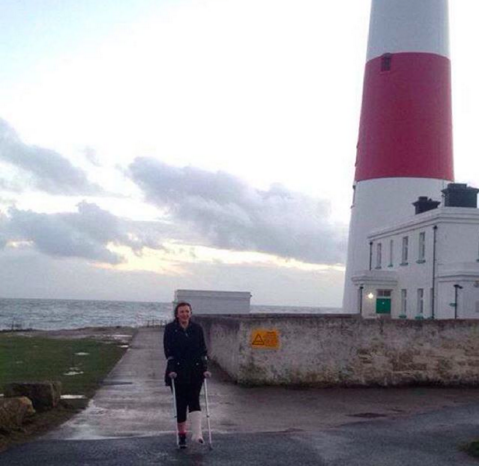 Never one to let something as miniscule as broken foot put me to bed, by my second day I was determined to get out of the house for a hop about. For some reason choosing the middle of nowhere to practice, although I think I've learnt my lesson to not run before I can walk! This does obviously mean I should be very on top of blogging life for the next few weeks! So fingers crossed, this is just a one off blog post but will be, as promised, posting Wednesdays and Fridays from now. I just wanted you all to be filled in and up to date before I resume the usual blogging! I have a couple of posts already lined up, 2016 is definitely not going to be the year I let the blog slip! !